Elisa SEDNAOUI. Andrea BUCCELLATI . Buccellati. Opera Collection Event. 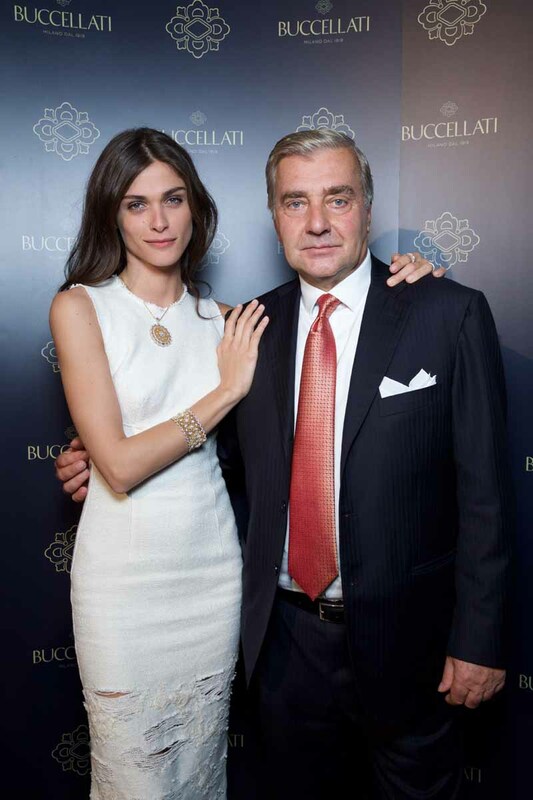 On July 6, 2015 Buccellati celebrated the launch of the new Opera Collection and advertising campaign in the halls of the historical Hôtel Salomon de Rothschild. Friends from around the world (Alexis Mabille, Aure Atika, Nausheen Shah, Amelle Chahbi, Julia van Hagen, Emily Marant, Christina Pitanguy, Edward Enninful, Astrid Munoz, Johannes Huebl , Stefano Tonchi, Anna Dello Russo, Suzy Menkes, Erica Pelosini, Hervé Van Der Straeten, Kilian and Elisabeth Hennessy, Santiago Gonzalez and Margherita Weinberg, Giada Magliano and Maurizio Gianninoni, among the others), gathered with Guest of Honor and star of the advertising campaign, Elisa Sednaoui, for an evening dînatoire to toast the refreshingly youthful designs the Opera Collection enriches the brand with. Inspired by the house’s new logo, the collections central motif awakens Italian Renaissance culture: the ideal of absolute symmetry as expressed by the flower. Characterized by sinuous fine lines and harmonious forms, Opera is comprised of a wide range of pieces; bracelets, necklaces, rings and earrings in yellow, white and rose gold, some with pave diamonds. The collection also encompasses high jewelry pieces featuring cuffs, one-of-a-kind cocktail earrings and rings adorned with sapphires and emeralds. Amid the vitrines of jewelry, Buccellati displayed official and behind-the-scenes images of its new advertising campaign, starring the beautiful Elisa Sednaoui photographed by Peter Lindbergh. Milan, the city where the brand was founded in 1919, served as the background for the shots.